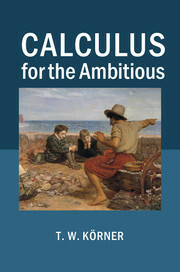 In this, the first of three posts, T. W. Körner, author of Calculus for the Ambitious (2014) sheds light on the life of Joseph Fourier - a mathematician and physicist who got caught-up in the French Revolution, and managed to help found modern Egyptology. In the middle of Les Misérables, Victor Hugo pauses for breath and paints a picture of Paris during 1817. ‘There was a celebrated Fourier at the Academy of Science, whom posterity has forgotten; and in some garret an obscure Fourier, whom the future will recall.’ Posterity, playing its favourite game of ‘cheat the prophet’, has reversed Hugo’s judgement. The obscure Fourier has not been completely forgotten. Cambridge University Press still sells his Theory of the Four Movements. However, the remaining 236 books brought up by a search of the Cambridge catalogue concern the Fourier at the Academy of Science. Joseph Fourier was not such a dull ﬁgure as Hugo would have us think. He was the orphaned son of a tailor whose obvious gifts won him a good education at the end of which he found further advancement blocked by his lack of good birth. Unsurprisingly, he became a youthful ﬁrebrand at the start of a French Revolution whose twists and turns almost brought him to the guillotine. When things quietened down a bit, his fellow citizens sent him to the new École Normale Supérieure to further his education and, perhaps, to keep him out of trouble. Paris was the centre of the mathematical universe. Fourier thrived and became a Professor. His quiet life (this is a relative term in the circumstances of the Revolution) was interrupted by a call to join Napoleon’s expedition to Egypt as one of the intellectuals intended to give the expedition a cultural tone. He did, in­deed, contribute to the intellectual side, but, more importantly for his future, he showed himself a gifted administrator, helping to organise the munitions workshops which supplied a stranded French army. 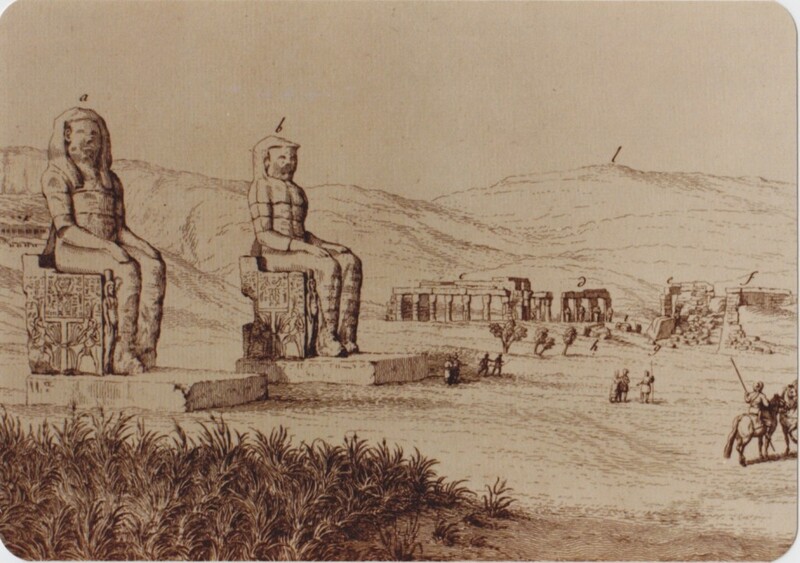 The so-called ‘Colossi of Memnon’ from ‘Déscription de l’Egypte’. On his return to France he took up his old post, but Napoleon soon made him Prefect of the Isère (a département centred on Grenoble). Here he drained marshes and built roads, but also helped write the Description of Egypt, a twelve-volume report which founded modern Egyptology. He showed a precocious child named Champollion a copy of the Rosetta Stone, and later protected the young man from conscription for the Russian campaign. Cambridge publishes the result in the Précis du système hiéroglyphique des an­ciens Egyptiens and other works on the decipherment of Egyptian hiero­glyphics. After the Restoration, the royalist government maintained Fourier in his position, but, unfortunately, Grenoble was the ﬁrst large town on the route of Napoleon’s triumphant return from Elba. Fourier left by the back gate as Napoleon entered by the front. The end of the Hundred Days saw him without a post and without a pension.